One Call Communications designs and installs full structured cabling. We do this for both your existing office premises or a new facility you are planning to move into. Structured cabling has to be planned properly, designed well and installed with the proper tools. Doing this will ensure your network connectivity works successfully for years to come. 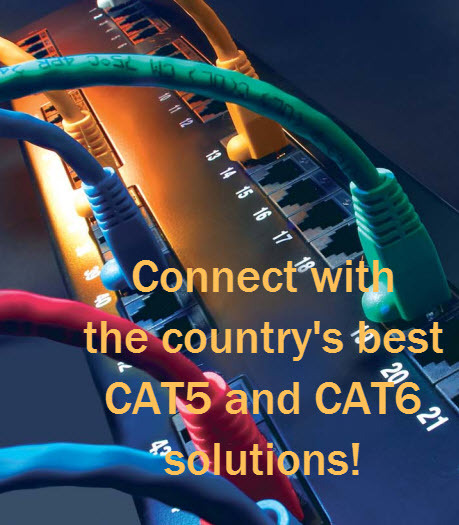 Our cabling solutions are of the highest quality and you can build an Ethernet infrastructure that will ably support your voice and data needs for the present and the future. We build standards based copper or fiber optic solutions that will provide optimum performance and flexibility. Adhering to standards while designing and installing a cabling system provides many advantages. Read our blogpost on the advantages of Structured Cabling here. With high performance copper and fiber cabling, recycling of cabling is avoided, and several generations of electronics can be accommodated. Consistency in design and installation ensure universal connectivity and error free transmission of both voice and data. To learn more about our voice and data cabling services, call us today!